Ayala land Inc. (ALI) has so far spent P15 billion for phase 1 of its residential project in Balintawak, Quezon Cty. In a press conference in Makati City this week, Avida Land vice president and corporate planning group head Raquel Cruz said the company is on track to generate some P4 billion from sales of the second tower of the project, almost twice the P2.2 billion it generated from the first tower of its Cloverleaf project. With units priced from P4.1 million to P9.9 million, Cruz said the company is banking on government infrastructure initiatives to attract more buyers. Formerly the site of a textile mill, ALI has committed to spend P25 billion for the development of Cloverleaf, with P15 billion allocated for the first phase and the remaining P10 billion for phase 2. Cruz told journalists that about 42 percent of the entire estate has been completed. Cloverleaf is located alongside the Light Rail Transit Line 1, and will be closely located to the Metro Manila Skyway project currently under construction. The second tower is expected to be 36 storeys high, including 33 residential floors with a total of 848 units in studio (23 square meters), junior one-bedroom (24 square meters), one-bedroom (33 to 37 square meters), and two-bedroom (52 square meters). The development is comprised of Ayala Malls with allocated BPO office spaces and residential buildings, plus a landscape promenade for pedestrians and commuters. 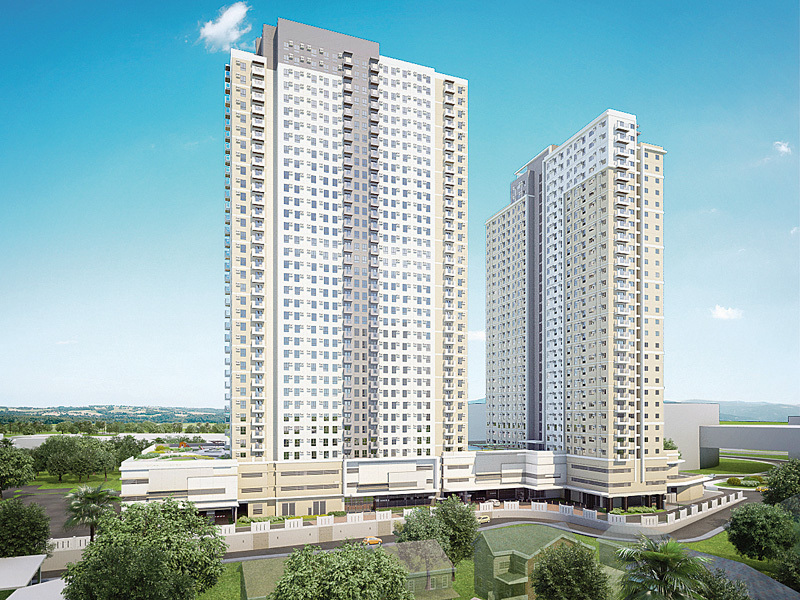 “Tower 2 of Avida Towers Cloverleaf represents a new and exciting opportunity for Avida buyers to experience not only the completeness of the Ayala estate lifestyle, but the convenient accessibility to public transport and connectivity to other parts of the metro from the north,” said Cruz. Avida has marketed the property towards urban professionals, early nesters and entrepreneurs entering Metro Manila via Balintawak who would want a place to live in the city, as well as residents of Quezon City, CAMANAVA and the nearby Filipino-Chinese communities. As part of the Cloverleaf estate, Avida residents will benefit from the shopping convenience of Ayala Malls Cloverleaf, and accessibility to public transport from NLEX to Quezon City and onwards across the metro. The estate’s frontage provides access to both A. Bonifacio Avenue and EDSA. Public transportation is easily available through buses and jeeps, and from the LRT Balintawak station. It is also close to the NLEX-SLEX Skyway connection from Makati to Balintawak that is currently under construction. Tower 1 is now sold out with majority of the buyers coming from the local market. It has also gained a number of buyers from the US and China seeking condos for investment purposes. Avida Land has been working on right-sizing unit designs to fit buyers and their changing lifestyles. “With the market’s increasing awareness of compact homes and their desire for financial prudence, our product line for Tower 2 and later, Tower 3, has focused on smaller units,,” said Cruz. Tower 1 is set for completion in the second half of 2019. Tower 2, and has launched its studio, junior one-bedroom, one-bedroom, and two-bedroom unit offerings. Junior one-bedroom units are similar to studio layouts with the addition of a partition to offer added privacy for a bedroom. “Market preference has been for bedroom units so there are several choices for buyers of Tower 2. Real estate consumer decision leans towards economical purchases with optimized spaces that provide added value in living experiences,” explained Cruz. 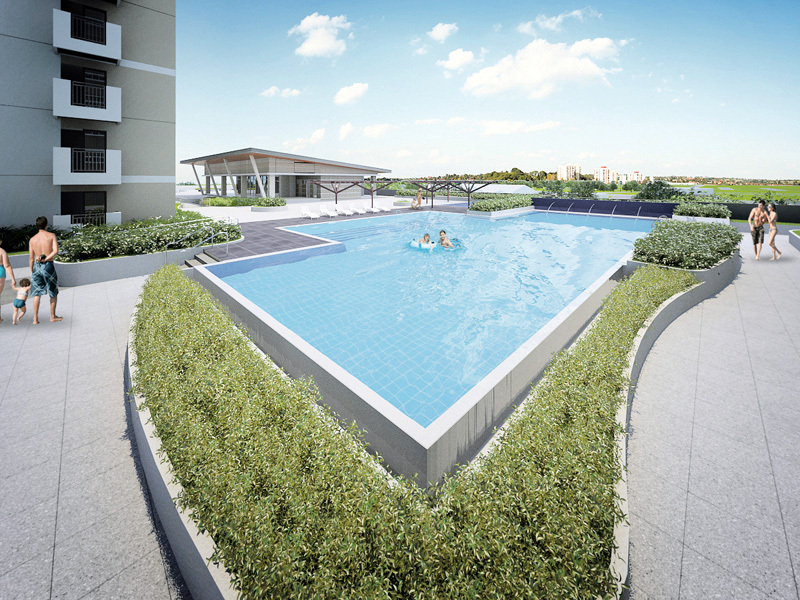 Avida Towers Cloverleaf features a clubhouse, swimming pool with lap pool and children’s pool, children’s playground, indoor gym, and landscaped spaces and serenity gardens. Tower 2 incorporates green building design features such as window glass that have been upgraded from clear tempered glass to low-emissivity (low-E) glass. Low-E glass is designed to reflect heat, UV rays and IR wave rays back to its source while still allowing sunlight to pass through. Occupancy sensors are used for lighting control in areas of the tower that will have variable occupancy. Rainwater harvesting is also incorporated in the building design, allowing the use of collected rainwater for non-potable purposes like watering landscaped spaces.